From self-destructive behavior to bizarre appearances to just plain kookiness, the following famous people may be the most entertaining celebrity trainwrecks of all time. The troubled exploits of the rich and famous always get attention, and it's impossible not to keep looking or following the star's every crazy move. This list of awesome superstar trainwrecks includes the hottest hot messes of all time, and even some of the wildest rock stars in history. The rise of social media has even helped these crazy celebs to crank up the antics to high gear. This is because of the popularity of Twitter rants, open letters on Facebook, or thousands of Tumblr pages and YouTube videos documenting the highs and lows of living a celebrity life. It's not always funny, especially when the star gets into serious medical or legal trouble. While some of the famous train wrecks below have either cleaned up their acts or since passed, each one has left, in one way or another, a huge mark for injecting heavy doses of scandal and notoriety to Hollywood history. So who is the Hollywood's most entertaining trainwreck of all time? Cast your vote for the messiest and most scandalous celeb from the list below, and see who gets voted to the top! Don't forget to check out these lists of celebrities who have declared bankruptcy and stars with gambling problems. 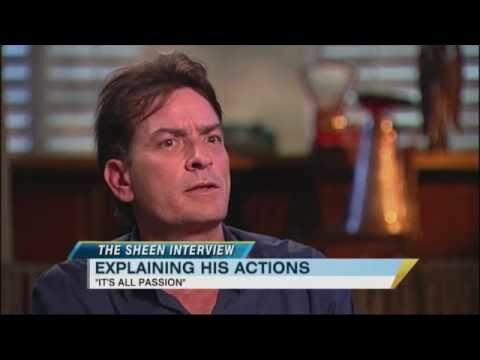 In the wake of his 2011 firing from the hit CBS sitcom "Two and a Half Men," and a rift with series' creator Chuck Lorre, Charlie Sheen had a very public meltdown. During this episode, he proclaimed himself a "warlock" who had "tiger blood" and "Adonis DNA" flowing through his veins. Hollywood's most famous bad boy even shacked up with two female adult industry stars he collectively nicknamed his "goddesses" and started the viral hashtag #WINNING. Sheen returned to series TV the following year with a starring role on FX's "Anger Management." However, FX canceled the show after two seasons. Lindsay Lohan's infamous collection of mugshots only tells half the story. Considered the ultimate Hollywood trainwreck, the former child star turned into a cautionary tale with her multiple arrests, rehab stints, family drama, and reckless driving. The outspoken rapper and Kim Kardashian's husband has had so many public outbursts, he's got his own list: Kanye West's famous rants and stage crashes. The queen of grunge has cleaned up her lipstick-smeared act. However, she's now less known for her music and more visible for bizarre Tweets, her (since resolved) feud with former Nirvana member Dave Grohl, and a strained relationship with daughter Frances Bean.